The statistics about man’s use of plastic are staggering; close to half the plastic ever manufactured has been made since the year 2000, 40 per cent of the plastic produced is ‘single use’ and by far the biggest use of the material is for packaging (146 million tonnes/year, according to the University of California). Furthermore, less than one-fifth of plastic is currently recycled globally, and it is made from fossil fuels. While commitments are being made by companies and individuals to reduce its use, our reliance on the material seems insatiable. The plastic dilemma is great, Mr Miles suggests: “The quandary is that it is cheap and easy to manufacture, versatile and robust, so our reliance on its use needs a shift in mindset and in manufacturing, as well as recycling. The ingenuity of a growing number of companies, including BASF, has seen the emergence of a host of plastic alternatives made from a range of raw materials, including plants, fermented bacteria and seaweed. There are also waste recycling innovations which process a host of materials into other uses, used fishing nets made into sunglasses, agricultural plastics into picnic benches and plastic bottles into clothing. In this vein, BASF has developed a bioplastic called ecovio. It is manufactured from corn starch, is just as high performing as conventional plastics, and is certified as compostable. Its uses are wide-ranging, including as a mulch film for agriculture, as a paper coating for food and drink packaging and as the base material for injection moulding. Mr Miles says: “Ecovio has a lot of potential in farming as silage wrap, protective mulches and as packaging for fresh produce. It can be handled in exactly the same ways as plastic alternatives. Agricultural use ecovio has been manufactured to be strong and very flexible. It ranges from 8-120μm in thickness and has a very high temperature tolerance, important in hot climates, for example in Spain where fresh produce growers use a lot of plastic films. He adds that as food manufacturers and retailers shift towards a plastic-free future, it is likely alternatives will be sought in primary production as well. Mr Miles says: “In April of this year, supermarkets and food companies developed a voluntary pledge to cut plastic packaging. Looking to the future, BASF is looking to work with ingenious companies to develop new concepts which makes the whole of society more sustainable. Mr Miles says: “There are some really imaginative companies out there which are embracing the less waste concepts of the circular economy. It is this thinking that will reduce the intensity of society’s consumption. “Human inventiveness is incredible, and it is seeing some fundamental shifts in our approach to raw ingredients. Take Nijsen Granico, a feed company in the Netherlands. This company is manufacturing pig and poultry feed from food waste. An American business has designed disposable, origami-style, coffee cups with integral lids and seaweed-based food packs which you can eat after you have finished your burger. “These ideas are just what we need to make progress towards a more sustainable human existence.” BASF is keen to invest in innovation, Mr Miles adds. “We are well-known for developing the core products from which other manufacturers then make end products. We do so in a wide range of sectors. The environmental impact of plastic is a key discussion within the wider ‘what next for waste management’ debate, according to Dr Ali Hadavizadeh, programme manager at Farm491. He says: “It is important society reduces waste of all types and innovative solutions are already coming onto the market to help tackle the issue. Agronomex is a Farm491 Inspiring AgriTech Innovation company, and one of the Agri-Innovation Den finalists from last year. The company has created an online B2B fruit and vegetables market place to facilitate the direct trade of surplus produce. Paul Wright, co-founder of MultiBox, a Farm491 member, explains its own adopted circular economy: “We produce sustainable insect meal as a replacement for fish protein in aqua feed. Agri-Innovation Den is the perfect platform for fledgling businesses looking to accelerate growth. Launched by Farmers Guardian’s parent company AgriBriefing in 2015, the competition invites agricultural entrepreneurs to pitch their business ideas to a panel of industry judges and potential investors. 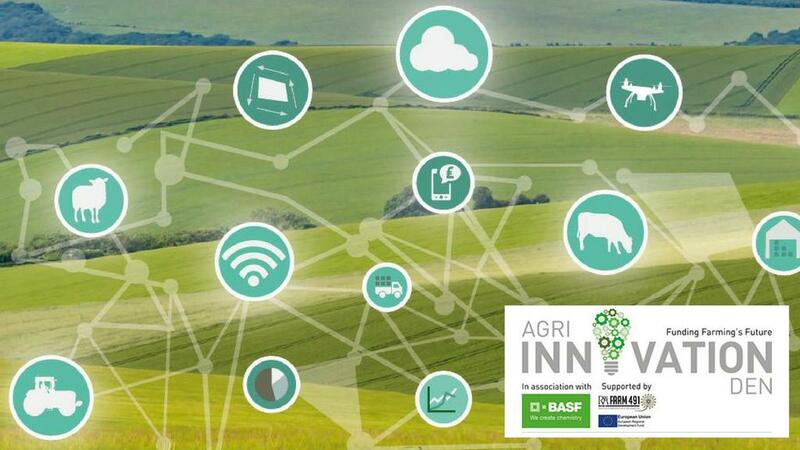 Six overall finalists will each win a unique agri-marketing and business advice package, worth more than £6,000, plus a chance to access a multi-million-pound funding pot. The online entry process is open until September 14, 2018, here.